Pretty queer, it would seem. Following a fun discussion over on Autostraddle, I thought I’d share my favourite cards in the Steampunk Tarot by Barbara Moore and Aly Fell. First things first – every single character in this entire deck is very white and very thin. 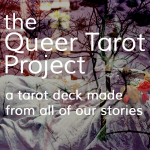 So it’s not what you would call a diverse tarot. 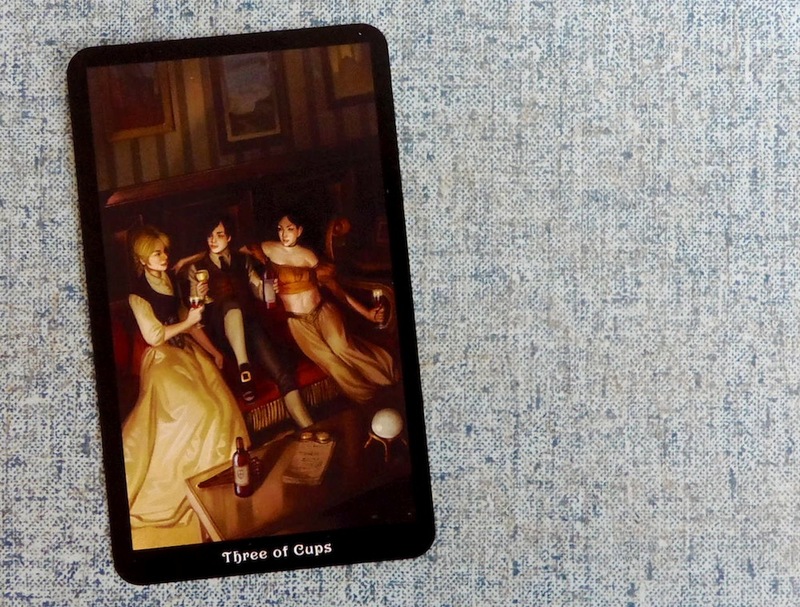 And the tarot fashion award most definitely goes to the Page of Cups. 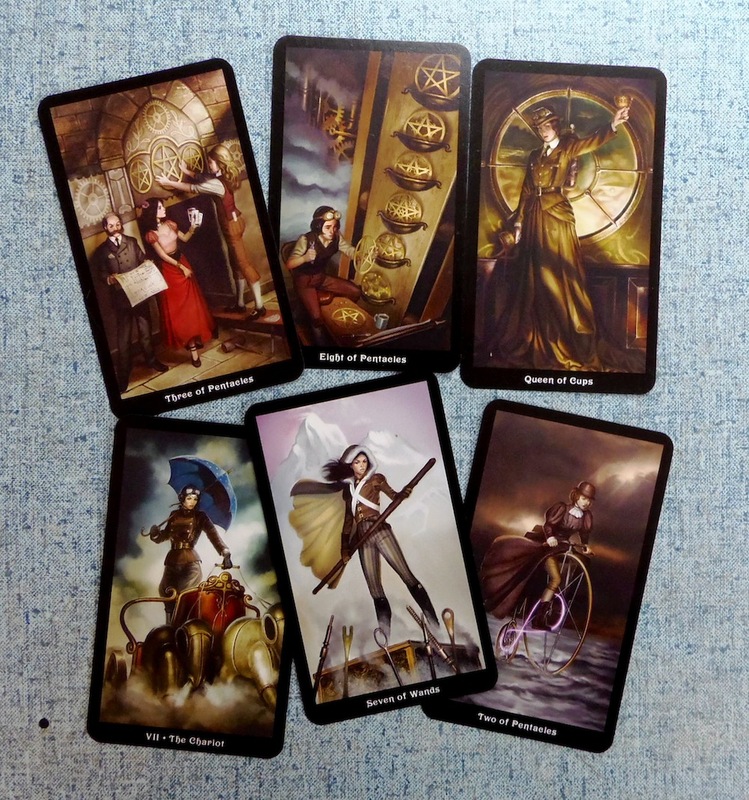 The Steampunk Tarot: Diverse it ain’t. But if you enjoy looking at pictures of awesome-looking skinny white girls in an array of incredibly cool Victorian dapper/femme attire while you’re practicing cartomancy, this deck is probably a wise investment. Let’s start by collecting our stories, in a place where everyone can see them, read them, be inspired by them. [Guest post] For many LGBTQIA people, the magic starts happening when you've hammered out what “being you” feels like, what you want life as your true self to look like. 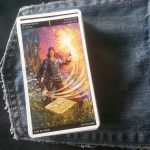 How do you find this deck for doing actual readings? Because I’m tempted to add it to my Buy Eventually (When I Stop Being Broke) list, but it seems like it’s maybe more of a novelty deck (?). I have trouble gauging the practical usability of decks without having them in my hands. Also, man, those images are cool, but how much cooler would they be if they *had* been racially diverse? More tarot designers need to get on that. Yeah, I’m actually a little glad I don’t have funds right now to buy several new decks, even though I’m itching for a few. This way I have to take the time to do my research and find a couple that I’ll be extra excited about. Any recommendations of more diverse decks? This is one reason I love ‘animal’ based decks like the Wild Unknown… no humans to politicize! I’ve been in love with the Knight of Wands since I first laid my eyes on her… I like your approach to one of my favourite decks! 😀 This post made me smile so much. This is one major reason why I absolutely love this deck. 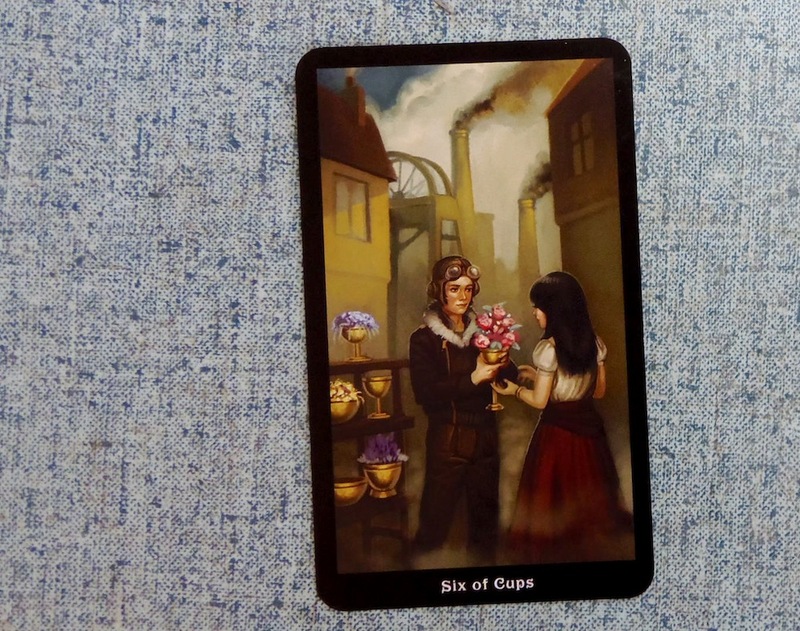 The Six of Cups really did melt my heart when I saw it.